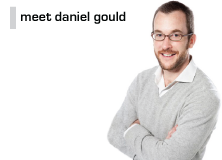 [Part of Daniel Gould‘s ten-part series of tips on Eurovision betting]. When placing a bet in horse racing, you study the form, which gives you details of how the horse has run in its previous races. It’s the same with Eurovision, but instead of using a formbook or the Racing Post, you need YouTube. YouTube provides you with a variety of performances of all the songs: official videos, TV appearances, even gigs captured on mobile phones. Use this information wisely. Don’t judge based on the quality of an official video. This has nothing to do with how it will be performed on the Eurovision stage. Mimed TV appearances also give no indication of what it may sound like live. In fact, be suspicious if you can’t find any evidence of the song being performed live – there may be a good reason for that. Can you find other examples of the artists not relying on ‘playback’? But one bad live TV performance does not necessarily spell disaster. The sound mix can be terrible in some venues, backing singers can cover up a multitude of sins, endless rehearsals can add polish. That’s why you have to keep returning to YouTube. To see the latest performances, what is changing about them and their staging. This is most vital during the official rehearsals in the two weeks leading up to the final. You get to watch these performances as each tries to perfect what will be seen by voters and juries on the night. It’s an advantage you have in Eurovision that you don’t get betting on sport. You see a version of the event before the event. So you’re just guessing how viewers and juries will judge it. And hoping it’ll be alright on the night. In 2007, pre-event favourites Switzerland made their first live performance of ‘Vampires Are Alive’ on German TV. It was horrific. Badly out-of-tune, laughably staged. The song ended up not even qualifying for the final. In 2008, national star Dima Bilan won the Russian final with a horribly over-the-top performance, and failed to stay in tune throughout the winning reprise. But an established performer, who had previously come third at Eurovision, his vocal abilities on the big night were not in doubt, and his ‘Believe’ won the event. I’m glad you mentioned Vampires Are Alive – that’s probably the one bet I’ve ever been brave enough to put any kind of money on and won! So, so obvious, and yet I got 5/1 or something ridiculous on it not to qualify. So true…I’m a big fan of My Heart is Yours and last year, I was convinced it would succeed. Then I saw the live performance…and I lost hope. Didrik got sick, if I recall correctly…and he sounded terrible, nothing like the studio version. Great tip!